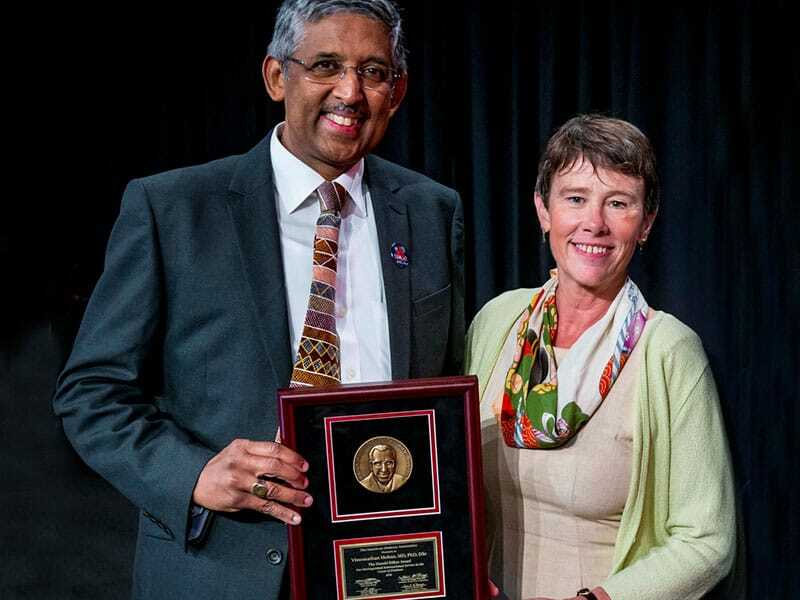 Dr. V. Mohan received the prestigious Harold Rifkin Distinguished International Service in the Cause of Diabetes Award by the American Diabetes Association (ADA). Dr. V. Mohan, Chairman and Chief of Diabetology at Dr. Mohan’s Diabetes Specialities Centre and President & Chief of Diabetes Research of the Madras Diabetes Research Foundation has been awarded the prestigious Harold Rifkin Distinguished International Service in the Cause of Diabetes Award by the American Diabetes Association (ADA). The award is dedicated in the memory of Dr. Harold Rifkin, an internationally recognized clinician, researcher and educator in diabetes. It is one of the highest scientific achievement awards of the American Diabetes Association (ADA) given annually to an individual whose efforts have increased the awareness of the burden of diabetes worldwide to improve the care and lives of those with diabetes. The award recognizes Dr. Mohan’s outstanding service to the cause of diabetes in India and his pioneering work in the field of diabetes. The award was conferred on Dr. Mohan during the 78th Scientific Sessions of ADA in Orlando during the National Scientific Achievement Awards Presentation Ceremony held on June 25. Supported by a grant from the Rifkin Family, this award honors individuals who have demonstrated outstanding research, education, and care in diabetes performed from an international perspective with an international project. “I am humbled to receive this award which I consider as recognition of the work done in India. I wish to thank my family and our numerous collaborators in India and around the globe who contributed to our studies,” Dr Mohan said. Internationally renowned, Dr. Mohan has worked tirelessly to address the challenges of diabetes in India and developing countries. He has actively been involved in government health policy and advocacy programs related to diabetes, and he has served as President of the Research Society for the Study of Diabetes in India. The American Diabetes Association’s 78th Scientific Sessions took place on June 22-26, 2018, at the Orange County Convention Center in Orlando, Florida, USA.